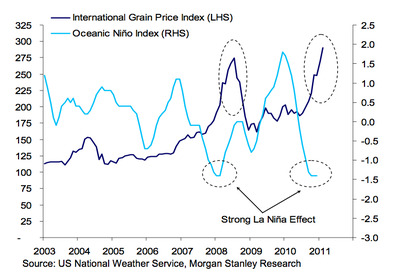 From Morgan Stanley, a great chart comparing grain prices to an index of extreme weather activity. It’s fairly hard to deny. And from the same report, just a one-week look at Chinese food prices tells a similar story. The one group that saw weather return to normal recently saw its price gains moderate. 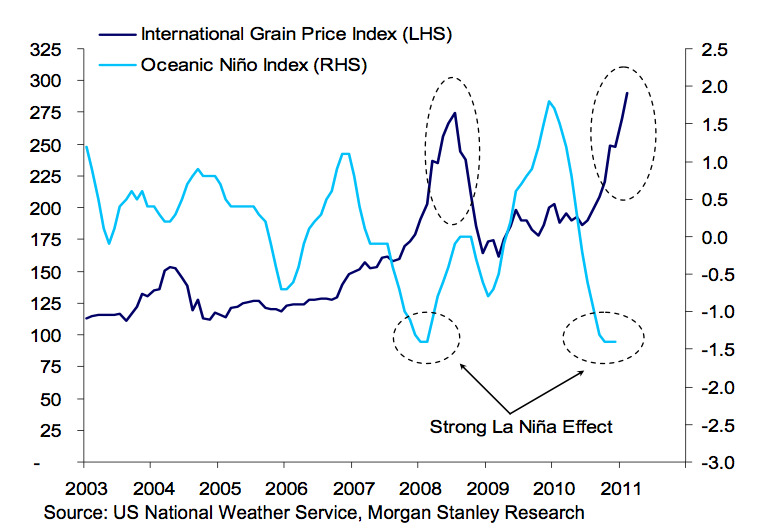 * Thanks to the alleviation of drought in Northern China, grain prices—that only edged up by 0.22ppts–stabilised in the first 10 days of February. 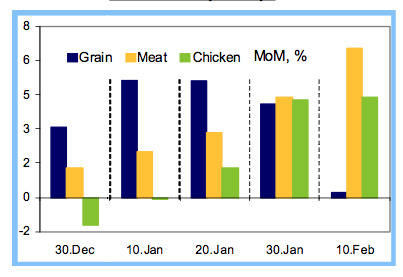 * Chinese New Year and cold weather continued to fuel the increase of meat prices, especially pork prices. * Vegetable prices continued to jump on the back of New Year effect and lagged effect from supply disruption by the icy rain in Southern China.